The muniJOBS website is available only to persons or organizations that can form legally binding contracts under applicable law. If you do not qualify, you are not permitted to use this website. If you are using this website on behalf of an organization, you represent and warrant that you have the ability to bind such organization by your use of muniJOBS. Nothing in this provision shall require or obligate us to send any notice if no notice is required or mandated elsewhere in these Terms and Conditions. You are responsible for reviewing the applicable Fee Schedules from time to time and remaining aware of the fees charged by us. The Fee Schedules are subject to change at any time in our sole discretion, and if you do not agree to any such changes, you should contact us to cancel your account. We will use good faith efforts to notify you prior to the effectiveness of any significant change to the Fee Schedules. Any disputes about any charges to you under this Agreement must be submitted to us in writing within 60 days of the date such charges are incurred. You agree to waive all disputes not brought within the 60 day period, and all such charges will be final and not subject to challenge.You will be contacted one month prior to your annual membership expiration date. Once payment has been submitted, your annual muniJOBS membership is non-refundable. Payment for your membership package will be made by via Stripe using a valid credit card. Payment is payable in Canadian dollars only. 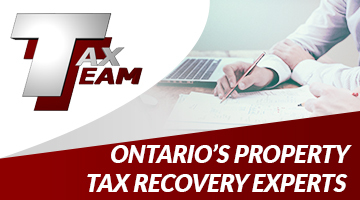 We are required by law to collect and remit Harmonized Goods & Services tax (HST) or any other tax applicable to your province of jurisdiction. We determine your local taxing jurisdiction based on the billing address that you list in your profile. You agree to be responsible for and to pay any taxes that may be imposed for the use of this website. Develop, invoke, or utilize any code to disrupt, diminish the quality of, interfere with the performance of, or impair the functionality of this website. You may terminate your muniJOBS account at the end of the annual membership. There are no refunds for any fees paid. You are solely responsible for terminating your muniJOBS membership and we are not responsible for your failure to properly terminate your account or for any credit card charges or fees you incur as a result of your failure to properly terminate your account. We may, in our sole discretion, terminate, disable your muniJOBS membership or remove all or a portion of your content on the website with or without cause, with or without notice and without refund. We shall have no liability to you or any third party because of such termination or action, except that we will refund a pro rata portion of any prepaid amounts if we terminate you without cause. Unless you or we terminate your account, you will continue to be responsible for paying any amounts owed to us hereunder.Upon termination of your muniJOBS account by you or us any rights or licenses granted to you hereunder, shall immediately terminate except that all sections of these Terms and Conditions that by their nature should survive termination will survive termination. You hereby agree to defend, indemnify and hold harmless us and our business partners, third-party suppliers and providers, licensors, officers, directors, employees, distributors and agents from and against any damages, losses, liabilities, penalties, settlements and expenses in connection with any claim or action that (i) arises from any actual or alleged breach by you of these Terms and Conditions; or (ii) arises from the content you post, promotions you offer, or products or services you sell (including, without limitation, claims relating to defective products or services or unclaimed property). In addition, you acknowledge and agree that we have the right to seek damages when you use the website for unlawful purposes, in an unlawful manner, or in a manner inconsistent with these Terms and Conditions, and that such damages may include, without limitation, direct, indirect, special, incidental, cover, reliance and/or consequential damages. In the event that we are required to respond to a third party or law enforcement subpoena or court order that is related to your use of the website, we may, in our sole discretion, require you to reimburse us for our reasonable expenses associated with complying with such subpoena or order.